Get Your Summer Programming Listed! 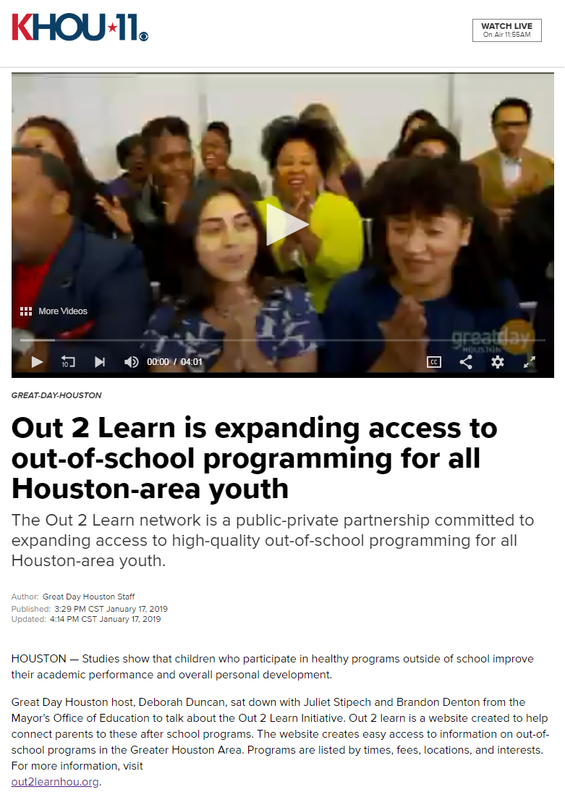 We want families to find out about all the great programming you offer during the summer, so send us your program info to get listed on Out2LearnHOU.org! If you are new to Out 2 Learn, fill out the submission form and email it to us! If you are already listed on Out 2 Learn, let us know if you have any updates! 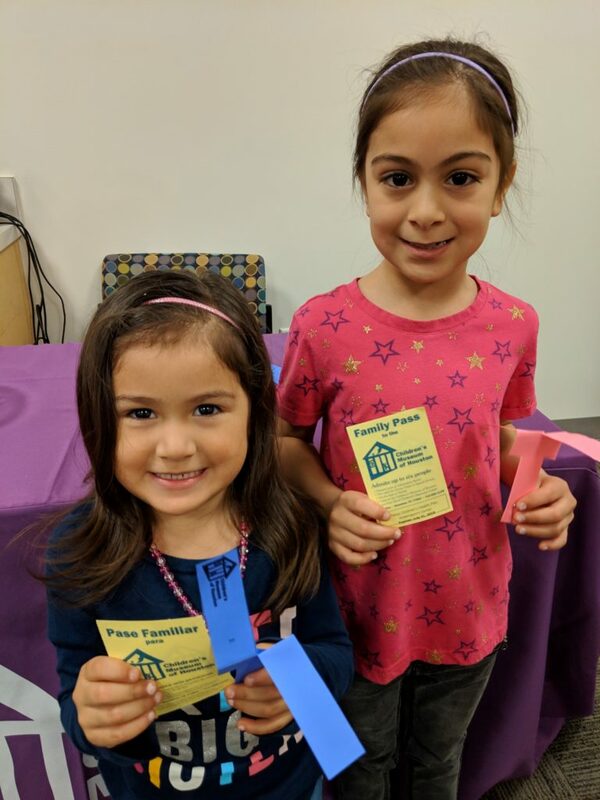 If you are a nonprofit organization, you can receive FREE access to Children’s Museum of Houston by becoming an Open Doors partner! Contact Mónica Santillán-Salinasto to join Open Doors or if you have questions! Free Access to Grantwriting Resources at United Way! Did you know that United Way’s Nonprofit Resource Library gives you access to reference books on a variety of topics that include: grantwriting, marketing, leadership & team building, and more? This includes the Grantspace Online Foundation Directory, a database of grant funding opportunities! Every 3rd Tuesday of the month, from 1:00 to 4:00 pm, you can drop by to make use of the library’s resources at no cost! Interested? Contact Karen Beltran for more information. RSVP to the Out 2 Learn Quarterly Meeting! The Out 2 Learn Quarterly Meeting is a convening of OST professionals where you can network with others in the OST field while learning about the latest trends and happenings in OST. We would love to have join us! Please RSVP if you are interested in attending. Time: 9:00 to 11:00 am | 8:30 am will be networking time and the general meeting will begin at 9:00 am. Watch our segment on Great Day Houston! RFP Opportunities, Conferences, & More in 2019! 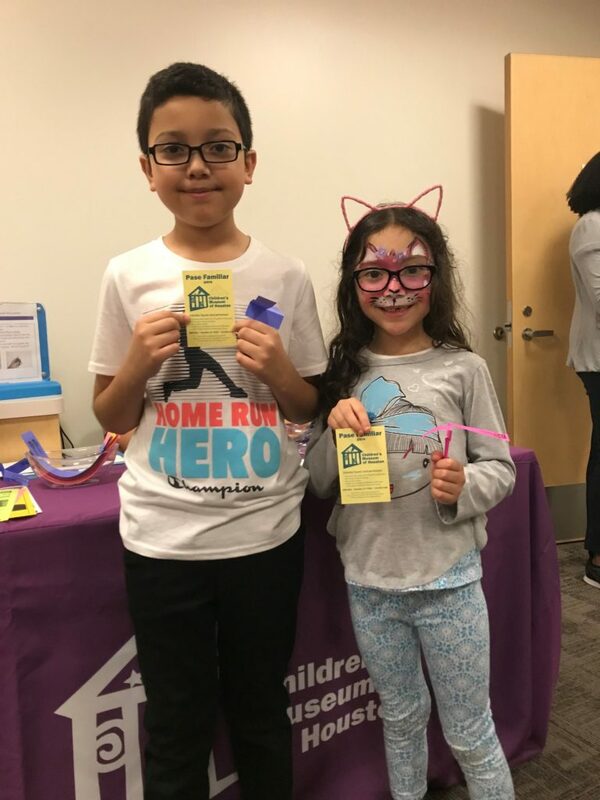 Out-of-School Time Partners & Friends, here is a rich list of opportunities and events to help you kick off the new year! CASE for Kids’s first Learning Community of the year – Thursday, January 17, 2019 at 9:30 am to 12:00 pm. Please register as soon as possible. Winter Symposium – Friday, February 22, 2019 at 8:00 am to 2:15 pm. This is a wonderful opportunity to gain 4.5 hours in OST training and the $40 fee includes lunch. See the attached flyer for more information and register online. Workshop schedules for January and February 2019 are attached. Topics for this upcoming selection of workshops includes empathy and emotion Management in OST, allowing for youth voice in programming, and incorporating STEM activities in OST. The RFP for applying to become a direct service provider for CASE for Kids is due January 15, 2019. Please contact Inga Ash at iash@hcde-texas.org if you have any questions regarding the proposal. New York Life Foundation’s RFP for OST programs serving disadvantaged middle school youth is due January, 25 2019. See the website for the application and more information. Upcoming conferences and trainings to add to your calendar! New York Life Foundation is seeking applicants for its Aim High local grant program to support after-school, summer, or expanded learning program serving middle schoolers. Applicants will need to describe how programs support youth in the transition to the 9th grade. Up to $100,000 will be awarded, and applications are due January 25, 2019. Learn more about the RFP and access the application on the Afterschool Alliance website. Enroll in Out 2 Learn’s Spring 2019 Quality Improvement Process! Out-of-school time providers serving youth between Pre-K to 12th grade are invited to enroll in Out 2 Learn’s Spring 2019 (January 2019 – May 2019) Quality Improvement Process, which provides programs with support in conducting a program quality self-assessment, creating an improvement plan, and receiving case-by-case coaching. Participants receive an assessment tool and training to prepare their staff for the following: conducting a self-assessment, reporting site findings, and interpreting site data to create meaningful change at their site. All of these services are provided by the Out 2 Learn network free of charge. A dedication to quality improvement and participation is all we ask for in return. You must have at least one program offering for youth between Pre-K – 12th grade on a consistent basis between August – May. Enroll today by completing our online form. For any questions or comments, contact Ashley Tate at atate@unitedwayhouston.org. Free ‘Art of Grantwriting’ Workshop! We are offering a free ART OF GRANTWRITING workshop to all out-of-school time providers in the Out 2 Learn network! This opportunity is made possible through Out 2 Learn and United Way’s Nonprofit Connection. We hope you will take advantage and register today! Please register using the SurveyMonkey link by Tuesday, December 11th in order to RSVP. Registration: Limited spaces available. Max of 2 representatives per agency. Register by Tuesday, December 11th! If your grantwriting is not up to par, register today for this session that will up your game!